A guest contribution to Digital Photography School from Henley Bradley, in which she shows how you can customise your workspaces in Photoshop. I like Photoshop to open and “look the way I want to see it”. But sometimes ‘the way I want to see it’ is different than others. I’m fickle – but thankfully Photoshop plays nice with me – the secret is its Workspaces. These Workspaces let me preconfigure my Photoshop screen for various scenarios, to save them so I can reuse them, and to put everything back in its place when I mess them up. If this sounds like something you could use – here’s how to give your Photoshop window a custom look with workspaces. 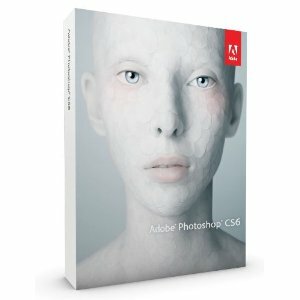 The world’s best digital imaging software, Adobe Photoshop CS6 delivers magic that helps you bring your creative vision to life. Edit raw image files and other photos with state-of-the-art photo editing. Create compelling HDR images, black-and-whites and panoramas. Retouch images with astonishing ease and control. Design anything you can imagine--at amazing speed. Paint and draw naturally and expressively. Put your ideas in motion by intuitively creating stunning videos.